Google Adwords is a valuable tool, particularly for gaining immediate front page position or for new websites, which can be buried at the very bottom of natural search engine rankings. 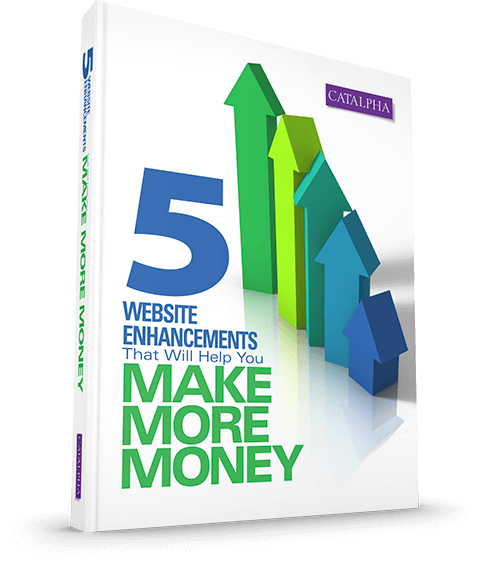 Catalpha can help you immediately attract your ideal customer to your website. We can create a new campaign or re-organize your existing campaign to attain your best cost per conversion and achieve a high ROI. Google’s analytics make PPC spend one of the most measurable forms of advertising. How do I know this? I was in the same position as you. Not getting leads and I wanted my website to work harder for me, so I didn’t have to make cold calls, so I didn’t have to go to the business mixers. So I spent my own money doing PPC for the last 2.5 years! spent my own time learning. When its your own money, you want every penny to count. You know that if you are spending it with Google, you aren’t buying something else! Like those football tickets, or new clothes or that next round of drinks. Remember – a website’s purpose is to sell you when your customers are ready to be sold! It can be done, I’ve done it and I can do it for you. I know what you’re thinking, you’ve tried Google PPC, you spent a LOT of money, and it didn’t work!!! You’re right. If you don’t know what you are doing and don’t have the expertise in running it. You ARE going to lose. If you can’t tell whether PPC is profitable – it could very well be a waste of your time. But if you didn’t do it correctly the first time, you just know that you spent $3571 and you got 254 clicks and had your ad shown to 104,294 people. How much business did you get out of that $3571? Only you can tell us that. Here’s what we can tell you if you were our client. We added conversion tracking and phone tracking on your website. Now when you spend money we know that X number of people called the office, X number of people filled out your form and X number of people became clients. WOW! Now we KNOW that it cost X and you received 10 calls and you started work with 3 clients – each client being worth $X. Now you know how much it cost to get a client from the website and you spend accordingly. If you put in $1000 and get back $10,000…. Its not hard math to know that if it is making you money. Your ROI is easy to see in this example. That’s why PPC is one of the most accountable forms of marketing today. Now there is still a lot to know about setting up your account properly, breaking down your keywords into appropriate ad groups, creating ads and determining the best ads, creating landing pages and testing those, why one landing page works better than another, conversion rates, dynamic search ads, product listing ads (…big breath) and more. Plus Google keeps adding and tweaking their program leaving you in a constant state of ‘catch up’. But we can work together and you’ll learn why one ad works and the other doesn’t and many other intricacies.